Current Location: Los Angeles, Calif. Favorite tech tool: Staying motivated can get tough in the day-to-day shuffle, so I like to peruse Pinterest for inspiration. 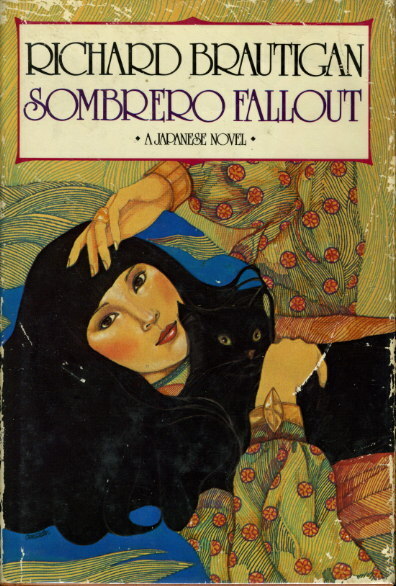 Favorite fictional character: Yukiko, the sleeping Japanese woman in Richard Brautigan’s Sombrero Fallout. I like this book so much I only let myself read a chapter every few weeks … I’m worried what will happen when it ends. There really is no average day. Some days, I tweet like a madwoman, sometimes I’m in meetings, sometimes I spend the whole day at a coffee shop writing a liturgy on why we RT the way we do, sometimes I’m talking to tech or content partners about how we can work together and tinkering around with new products. The thing I do consistently is spend time engaging with our audience – responding to questions, talking about the news and other things. I work way beyond social media. I’m the “social butterfly” of our team, so I’ve been spending a lot of time talking to the community and working with our audience. It’s honestly the best part of my day and my job. I am really bad at reflecting, since I spend so much time looking forward. My first tiny foray into online, a five-part series on a struggling solar car racing team, is one of my favorite accomplishments. It was the first time I even thought to do anything with online and when I learned about the concept of project management. In recent memory, our wall-to-wall online coverage of the OccupyLA raid. We did a lot of aggregating, curating and reporting from multiple levels and it was one of the best instances of the radio side working with the online team I can remember. It was seamless and our audience noticed. It was by folly. I love fashion and I used to collect all these links to stores and clothing. I decided one day to make a blog to share them with friends. Once I got into WordPress, I fell in love with the nature of the web. I loved the speed of it and that I was constantly writing. I was a writer before I was a journalist, so spitting out constant blog posts was so much fun. When I moved to San Luis Obispo, I let my editors know I was interested in switching to the web and that was it. I never looked back. From what you’ve observed as co-founder of #wjchat, what causes journalists the most anxiety about the future of the industry? What kinds of conversations need to happen, but aren’t taking place in public forums? For young journalists, especially, I think the growing demand on reporters is worrisome. Reporters need to tweet, write, Facebook, shoot video and photos and blog. You somehow needs to be a jack/jill of all trades and specialized at the same time. We need to talk about balance and time management more than ever. Journalists are notoriously bad at work-life balance and the increasing demands on us are making it even harder. This is an industry full of burnout that could be prevented. As a side note, personally, I am very worried about the lack of diversity in top management position in newsrooms. Diversity in newsrooms as a whole is lacking, but the faces of management are representative of the organization and that’s the level where you can set the biggest culture change. We need to realistically talk about why minorities aren’t climbing the ladder. How do you create space for creative writing after spending time in the analytical worlds of tech and journalism? Creative writing is one of the few things that calm my mind. Before bed I usually force myself to do something on the “happy and calming” list — reading fiction, yoga or writing — for at least 15 minutes. It helps me sleep better. I do my best to block out an hour or two for one of those three on the weekend as well. I stopped thinking of stuff like that as indulgent recently. It’s a necessity to stretch my mind and crucial to my work-related creativity. There has been some discussion of a regional bias in journalism — as someone who grew up in Iowa, do you perceive a divide, particularly in terms of larger, legacy media outlets? There seems to be an expectation that only East/West Coast journalism can produce award-winning work. But I grew up reading the Des Moines Register in the era of (editor) Geneva Overholser. It was a magnificent era and the journalists in that particular newsroom are still inspirations to me. There has never been a spotlight on areas outside of the coasts and that needs to change. Hire some ad/business folks from outside journalism to figure out the revenue situation. After spending time as a web editor for a commercial site, I realized journalism needs to get a MBA. We produce great content, and we could do more if so many newsrooms were not working under the threat of layoffs and buyouts. Non-profits like public radio have a good business model, but it won’t work for everyone.